After almost five years, since i've shown the first sketches (april 2012) and tries with 3d modeling on RV-Live, it is done. You guys were really excited and have waited so long, especially mightycucumber, and r6te. 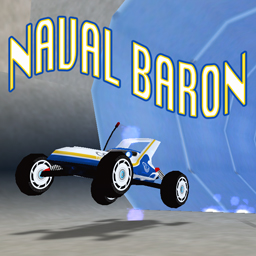 Now, the legendary NAVAL BARON is released finally. Sure, also you guys have helped me to answer my questions when i needed it, especially about improvements with the parameters. (for that a great thanks to Skarma).